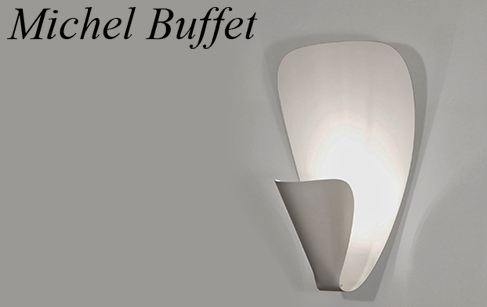 Michel Buffet was born in Paris in 1931, after training as an engineer and interior architect between 1950 and 1955 he spent the beginning of his career path designing luminaires. In 1952 he then joined the Knoll International bureau of study and CEI (Compagnie d’Esthétique Industrielle) founded by Raymond Loewy in the same year. He participated in numerous projects, shipyards and achievements in the field of transport, environment and industrial products. Michel Buffet continues research and development activity, particularly in the field of rail transport, aviation, and maritime. The simple and sleek forms, designed primarily as light sources could for him, only be white. The new edition is handcrafted in France, numbered and comes with a Certificate of Authenticity.